Instead of kicking back in the standard cloth sling, settle down at the end of the day in a wooden hammock, created by Australian designer Adam Cornish. This reinterpretation of the classic lackadaisical swing is far from a simple row of stiff planks: its rubber vertebrae keep the wooden segments flexible, mirroring the human spine. 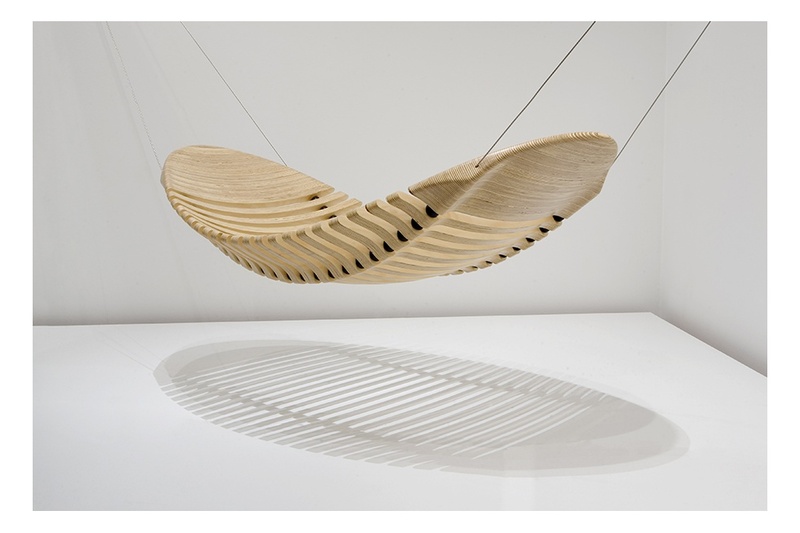 Cornish keeps the hammock both environmentally and economically friendly, constructing it from a single sheet of plantation-grown plywood made from such materials as bamboo. After graduating from the University of Technology in Sydney and the Royal Melbourne Institute of Technology, Cornish won the 2010 Workshopped People’s Choice Award for Australian design excellence and the 2011 Herman Miller Asia Pacific Design Competition, where he earned a one-on-one mentoring session with acclaimed designer Yves Béhar. With so many accolades under his belt, it’s safe to say that he understands the need for some well-deserved relaxation. Adan Cornish’s Wooden Hammock is available online at the Hobo Society.